Unable to attend VIVA, but still interested in viewing the content? 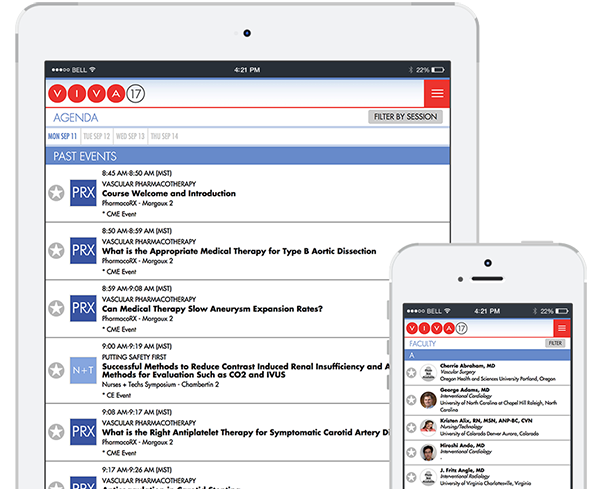 For a nominal fee, you can access all resources from previous VIVA conferences, including all presentations, faculty information, videos of live cases, coding and billing sheets, and more. Please note: VIVA and the Board Review Courses are not designed to be online courses, and as a result, you must physically attend the conference in order to obtain CME credits. All lectures are digitized and presented in streaming format for your computer and mobile device. Click here to purchase access to content from previous years. Note that refunds and cancellations are at the discretion of management. Once payment is confirmed, you will receive login instructions. This 10-year compilation of examination questions and content from the VIVA symposium and other expert contributors is a true study guide, with explanations of correct and incorrect answers. 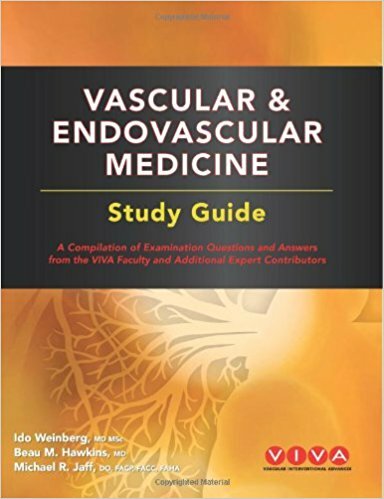 Designed for those physicians interested in sitting for the American Board of Vascular Medicine General and Endovascular board certification examinations, but it also serves as a guide for any physician who cares for patients with vascular disease. 5 comprehensive practice exams, each containing ~50 multiple choice questions. Complete explanations for further understanding of each question. Full-color images of scans, tests, and patient conditions. Ideal review for the American Board of Vascular Medicine examinations.